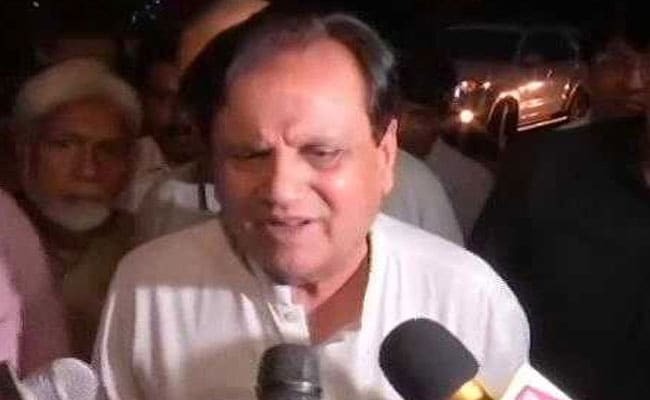 Gandhinagar / New Delhi: The Congress says its senior leader Ahmed Patel is returning to the Rajya Sabha from Gujarat for a fifth term, winning the third seat today in a bitterly fought election that became a massive prestige battle between the Congress and the BJP. The other two seats have been won easily by BJP chief Amit Shah, who makes his debut in Parliament, and union minister Smriti Irani. For the Congress, wresting the Ahmed Patel win from a BJP determined to prevent it is the biggest boost it has had in a long time. The Congress says Ahmed Patel received 44 votes. The BJP had gone all out to defeat Mr Patel, turning the election into a big prestige battle. The BJP pitted Balwantsinh Rajput, a recent acquisition from the Congress, against Mr Patel. "I have the numbers," Ahmed Patel told NDTV before the results were declared. Congress supporters celebrate in Gujarat after the party said its leader Ahmed Patel has been re-elected to the Rajya Sabha after a tough election. "I appreciate this order," Ahmed Patel told NDTV. He said he was "confident" but did not elaborate, stating he would wait for the outcome of the election. Mr Patel was counting on 44 of the Congress' 51 MLAs left to support him. One of the 44 is confirmed to have voted against him, so he has 43 votes from his party. The Election Commission has asked the returning officer to start counting votes after segregating the two votes in question, news agency ANI reported. The Election Commission has accepted the Congress' demand and has declared the votes of the two Congress legislators invalid. 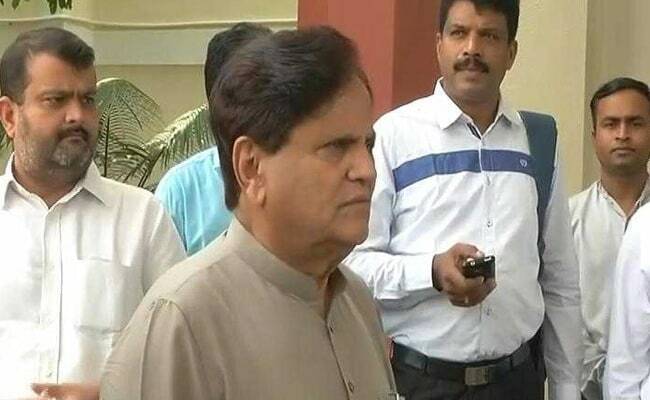 The Janata Dal (United) has sacked its Gujarat General Secretary Arun Srivastava for writing to the returning officer over the appointment of the party's election agent when he was not directed to do so, news agency ANI reported. 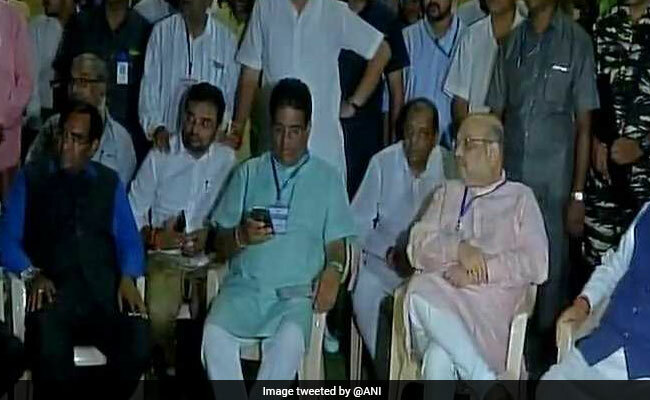 BJP President Amit Shah and party leaders wait outside the counting centre in Gandhinagar. The Election Commission will convey order on counting of votes to the returning officer at 11:30 pm, news agency ANI reported. Election Commission officials did not meet Congress and BJP delegations when they arrived for the third time, news agency ANI reported. The EC officials are in a closed-door meeting now. "We want the electoral process to be completed and counting to begin," BJP leader Nirmala Sitharaman said. 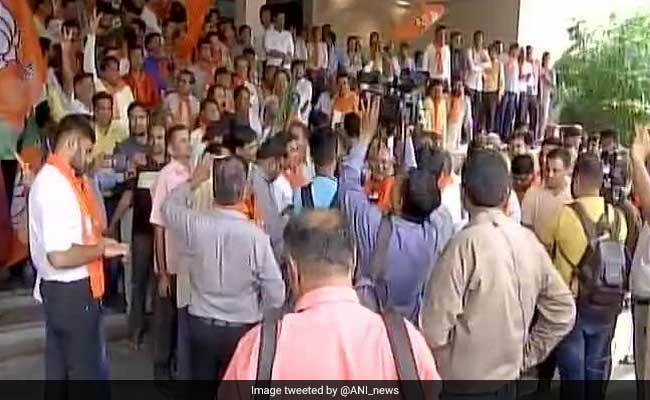 The BJP delegation leaves the Election Commission's office in New Delhi. 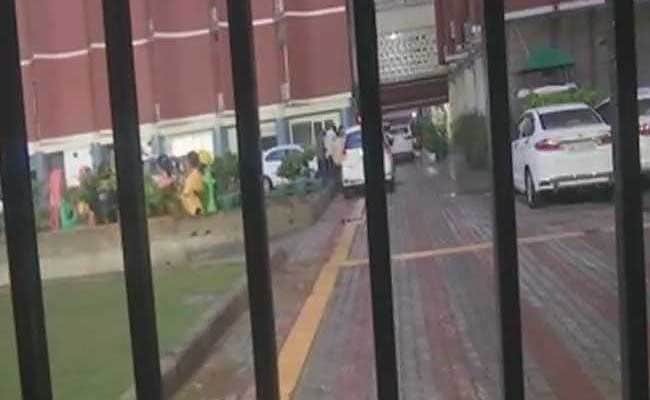 Congress leaders including RPN Singh and Randeep Surjewala have gone to the Election Commission for the third time, news agency ANI reported. The BJP delegation has also reached the Election Commission for the third time. 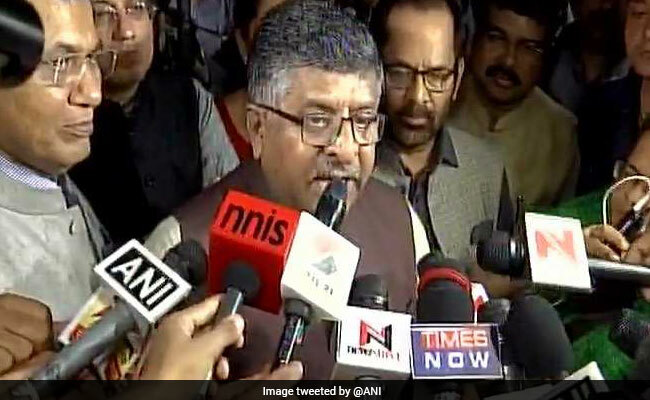 Union minister Ravi Shankar Prasad said the BJP has full faith in the Election Commission, news agency ANI reported. "The Congress's allegations have no substance and they are setting a wrong precedent," Mr Prasad said. "There is enough evidence that the ballot paper were seen by people other than those authorised. 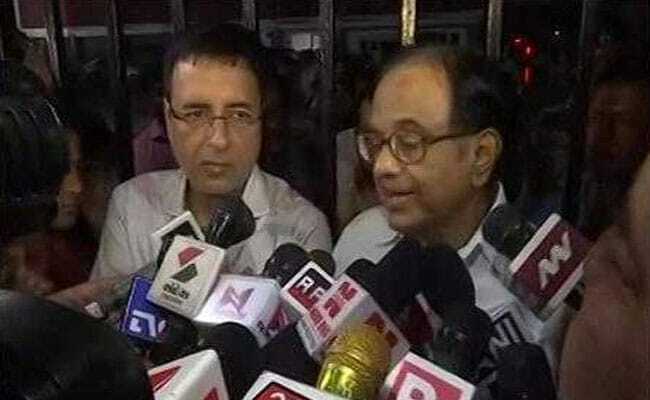 The Election Commission must reject these ballot papers as it did in Haryana in June 2016," Congress leader P Chidambaram said, news agency ANI reported. 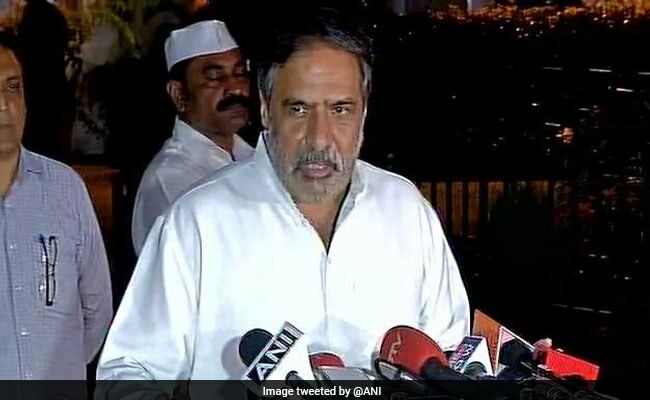 Congress parliamentarian Anand Sharma said a Congress legislator had mistakenly showed his vote in Haryana, and his vote was rejected. "The same was done in Gujarat and so should be rejected," Mr Sharma said, news agency ANI reported. BJP's Nirmala Sitharaman, however, pointed out that since 2010, the secrecy clause does not exist. "The presiding officer has the power to reject a vote. He did not object. Even the Congress did not object then. Why now?" Ms Sitharaman told NDTV. Union minister Ravi Shankar Prasad said the Election Commission has heard the BJP's arguments. He said the Congress has been making false charges. BJP leader Piyush Goyal said the rules say hurdles in procedure calls for the presiding officer's warning and cancellation of that vote, but in this case the vote reached the ballot box under full supervision of the Election Commission. 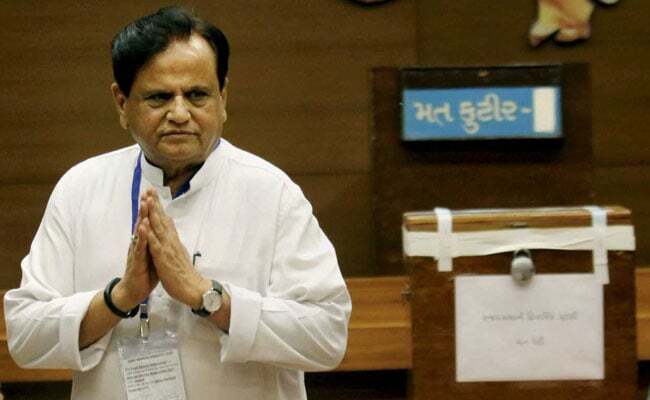 However, Congress' Ahmed Patel said a complaint was filed immediately, but the returning officer didn't do anything, news agency ANI reported. "I'm very much confident. Let counting take place," Mr Patel said. Union ministers Arun Jaitley, Nirmala Sitharaman and other BJP leaders have also reached the Election Commission, news agency ANI reported. "Who is KC Tyagi to say anything? Chhotubhai (Vasava) has voted; he will tell. Our support is with Ahmed Patel," said Ambalal Jadhav, Gujarat Janata Dal (United) General Secretary, news agency ANI reported. Chhotubhai Vasava, the only JD(U) legislator in Gujarat, said he has voted for Congress' Ahmed Patel, news agency PTI reported. Mr Vasava represents Scheduled Tribes reserved Jhagadia assembly seat in south Gujarat's Bharuch district. "BJP has ruled the state for 22 years but has ignored the state's tribal areas, which remain undeveloped as the government has done nothing for the poor and tribal population," Mr Vasava told PTI on phone. Congress' Randeep Surjewala and RPN Singh have approach the Election Commission to demand quashing of votes of two Congress legislators, Bholabhai and Raghavji Bhai, for allegedly showing votes publicly after voting for the BJP, news agency ANI reported. Congress' Shaktisinh Gohil said if a voter shows his or her vote to anyone other than party's authorised agent, then the vote gets rejected. Counting of votes has been delayed after the Congress approached the Election Commission. The only Janata Dal (United) legislator in Gujarat, Chhotubhai Vasava, voted for the BJP in the Rajya Sabha election, JD(U) leader KC Tyagi said, news agency ANI reported. "Nitish ji had asked our Gujarat MLA Chhotubhai Vasava to vote for BJP and he voted BJP," Mr Tyagi said. Mr Vasava represents the Scheduled Tribes reserved Jhagadia assembly seat in south Gujarat's Bharuch district. 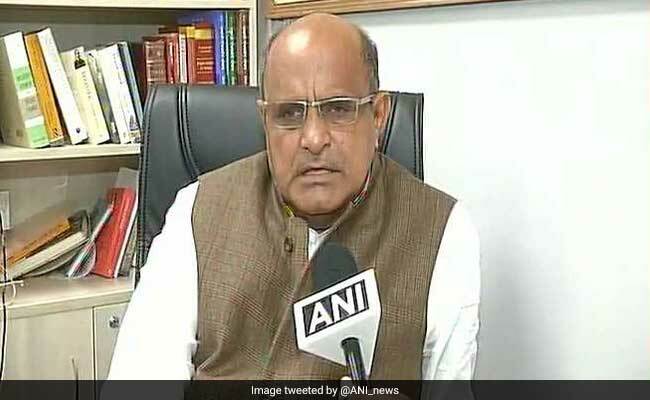 JD(U) leader KC Tyagi speaks to the media. BJP workers celebrate at the party's Ahmedabad office before the results of the Rajya Sabha election is announced. Gujarat Rajya Sabha Election LIVE: The counting of votes will begin at 5 pm. The result is expected be declared by 6 pm, say election officials. Gujarat Rajya Sabha Election LIVE: Polling for Rajya Sabha elections in Gujarat over as all 176 MLAs have voted, says state election officer. Result to be declared shortly. Congress' Ahmed Patel has already claimed "I have the numbers." Gujarat Rajya Sabha Elections LIVE: 61 BJP legislators and 43 Congress legislators have voted so far. Congress MLA Dharshi Khanpura had to vote himself after the Election Commission officer turned down his request for proxy voting. Former Congress stalwart Shankersinh Vaghela, after casting his vote, told reporters, "Since Ahmed Patel is going to lose, I have not given my vote to him." The elections have turned into a high-stake battle for the Congress in the backdrop of turbulence in the party following the surprise exit of Vaghela and the resignation of six of its MLAs recently. Another Gujarat Congress leader Dharmendra Jadeja says he has voted for BJP candidate Balwantsinh Rajput. 1) Voting began in the Gujarat assembly building at 9 am and will continue till 4 pm. The results will be declared by 6 pm. 2) The legislators have been provided ballot papers where the names of candidates are printed. The MLAs need to indicate their choice in the boxes provided next to name of each candidate. The vote will be shown to the polling officer before it is dropped into the ballot box. 3) Members of legislative assemblies or MLAs vote in Rajya Sabha elections in what is called a proportional representation with the single transferable vote (STV) system. Each voter's vote is counted only once. 4) Each voter ranks his preferences and if the first choice candidate has enough votes already or no chance of being elected, the vote is transferred to the second choice and so on. 5) Parties sometimes ask their lawmakers to indicate no more than one choice, so the vote cannot be used by another party's candidate. 6) The number of votes a candidate needs to win is arrived at by dividing the number of votes with the number of seats plus one, and then adding 1 to the result. 7) Gujarat has 182 seats, but 6 Congress members, who quit the party recently, will not be eligible to vote. The current strength of the house is 176, and there are three seats. So a candidate will need 45 votes for an outright victory. 8) As the voting is done through open ballot and every legislator shows his vote to the polling agent, those who violate the party whip can lose party membership. 9) But since assembly elections are just a few months away, some lawmakers may risk their membership by defying party whip. 10) Voters may also use the NOTA option, which has been upheld recently by the Supreme Court for Rajya Sabha elections. Ahmed Patel, the political advisor of Congress president Sonia Gandhi, is seeking a fifth Rajya Sabha term but his chances of re-election are bleak, predicted Mr Vaghela. "He doesn't stand a chance, won't even cross 40... Even legislators currently with Congress will not vote for him," said the veteran, who delivered the first blow to the Congress by exiting the party last month. 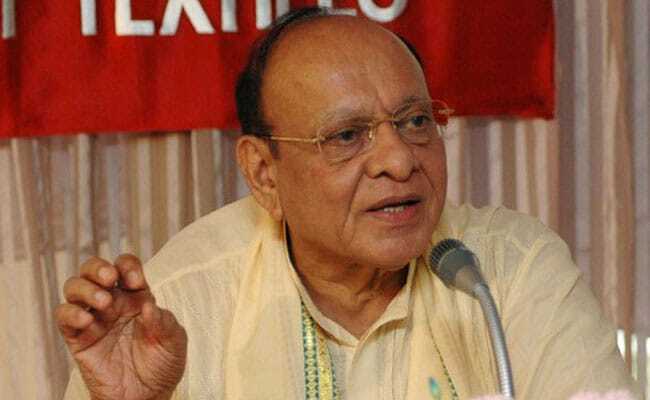 Shankersinh Vaghela, who quit the Congress last month, said today that he hadn't voted for the party's Ahmed Patel in the Rajya Sabha election and twisted the knife by commenting: "Who will vote for a losing candidate." Today's election allows an MLA to choose None of the Above or NOTA. Sharad Pawar said the NCP has asked rebel Kandhal Jadeja to choose NOTA rather than vote for the BJP. If neither Ahmed Patel nor the BJP's Balwantsinh Rajput gets 45 votes to win directly, second preference votes of each MLA will be counted. That will mean its game over for Ahmed Patel, given the BJP's far superior numbers. The six who resigned can't vote and that has brought the strength of the 182-seat Gujarat Assembly down to 176. Each of the four candidates contesting today has to win 45 first preference votes - which means they have to be the first preference of 45 Gujarat legislators. 45 of the BJP's 121 MLAs will choose Amit Shah as their first preference, 45 will choose Smriti Irani, and the remaining 31 will choose Balwantsinh Rajput. The Congress has 51 legislators in the assembly, including Shankersinh Vaghela, who announced he was exiting the party two weeks ago but remains a legislator. The Congress has issued a whip or formal order for all its legislators to vote for Ahmed Patel warning that defiance will attract career-altering penalty. But at least six of these 51 are known loyalists of Shankersinh Vaghela, believed to be the author of the Congress rebellion, and the party is not counting on them at all. They were not among the MPs who were flown to Bengaluru for safe-keeping. The BJP has says it expects at least two or three of the 44 Congress MLAs to cross-vote and back its candidate - these are all Congress legislators who the opposition party sequestered at resorts in Bengaluru and Gujarat's Anand for the last 10 days to prevent defections after six of its MLAs resigned, three joining the BJP. The NCP votes are important for Mr Patel who needs 45 votes to win today's election. Two of the 44 Congress MLAs have already suggested that they have not voted for Ahmed Patel. Mr Patel is Congress president Sonia Gandhi's political secretary, but the prospect of a defeat today has made both Mr Patel and his party stress that his important party role has nothing to do with today's election. NCP chief Sharad Pawar told NDTV early this morning that he has asked both MLAs to vote for Ahmed Patel. One of them, Kandhal Jadeja, who has been branded a "rebel" by the party, said last night that he had been asked to vote for the BJP's Balwantsinh Rajput, who has challenged Ahmed Patel for the third Rajya Sabha seat. The Rajya Sabha election in Gujarat that has become a huge prestige battle between the BJP and the Congress. 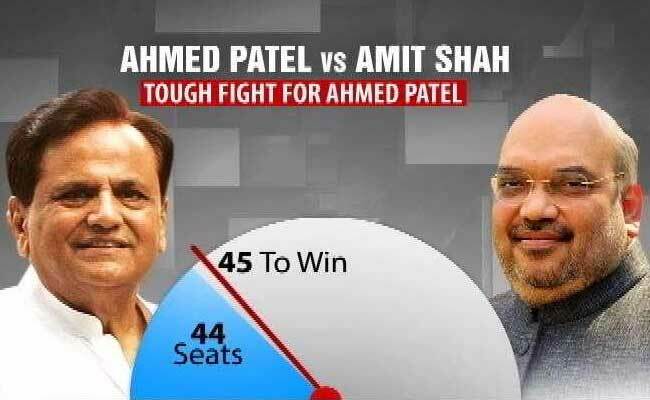 While BJP chief Amit Shah and union minister Smriti Irani will be elected from two seats, senior Congress leader Ahmed Patel is struggling to get re-elected from the third with the BJP determined to stop him. In a tight battle of numbers that is expected to go down to the wire, two legislators from Sharad Pawar's NCP will play a key role. Voting ends at 4 pm. The Congress has warned that any move to defy the party's order to vote for Mr Patel will attract heavy penalty, including legal action that could mean being barred from contesting elections. At least 11 Congress MLAs had voted for the BJP's nominee Ram Nath Kovind in the presidential election last month instead of Meira Kumar, backed by the opposition. The BJP has rubbished the Congress' allegation that it is coercing and attempting to bribe the opposition party's MLAs to scuttle Ahmed Patel's re-election. 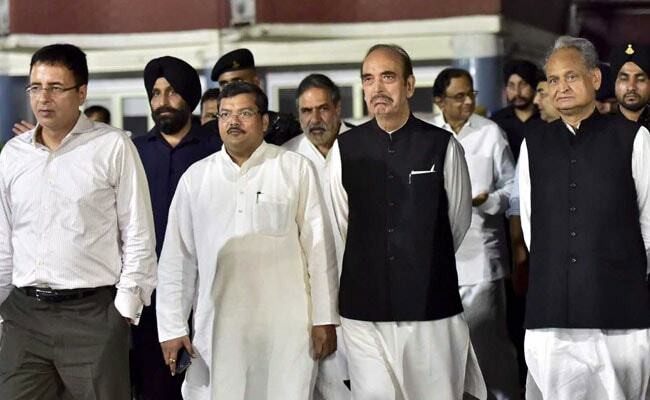 At 4:30 Monday morning, 43 Congress legislators flew back to Ahmedabad from Bangalore where they had been taken to prevent any more defections after the six MLAs quit the party, putting Mr Patel's re-election to the Rajya Sabha in jeopardy. 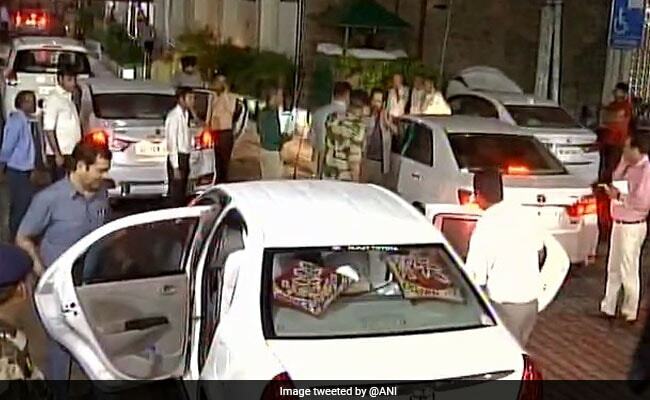 Ahmed Patel, who is political secretary to Congress president Sonia Gandhi, received the MLAs at the airport, from where they were driven to the Neejanand Resort in Anand in two buses. There are 44 legislators there and they will be driven straight to the assembly to vote today morning. Both Amit Shah and Ahmed Patel are contesting today's election. Mr Shah is assured of a win for his debut in Parliament, given his party's superior numbers in the Gujarat assembly. Union minister Smiti Irani will get re-elected to the second seat. Each candidate needs to get 45 votes to win. For the third seat, the BJP has fielded Balwantsinh Rajput to take on Ahmed Patel. Mr Rajput is one of the six MLAs who quit the Congress a few days ago. He and two others promptly joined the BJP. 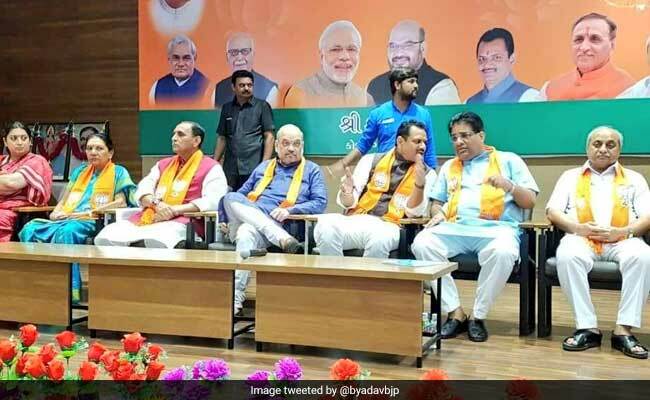 BJP chief Amit Shah met his party's 121 legislators for over four-and-a-half hours in Gujarat capital Gandhinagar on Monday, overseeing voting practice to ensure no votes are invalidated in today's crucial Rajya Sabha election to three seats. The party worked on a strategy to win all three seats, aiming to prevent the re-election to the upper house of Parliament of Congress A-lister Ahmed Patel. Mr Patel too met his party's MLAs at a resort in Anand, about 76 km away and he said he is confident he has the numbers. Update: Rajya Sabha Election 2017 LIVE - In a big blow for the Congress, Shankersinh Vaghela, who quit the party in Gujarat, says he hasn't voted for Ahmed Patel in Rajya Sabha elections. Update: Both NCP legislators have gone in to vote in the Gujarat Rajya Sabha election. Ahmed Patel said he is confident of a win. He said, "Besides the 44 Congress legislators, we have the support of Janata Dal-United, Nationalist Congress Party and Shankersinh Vaghela." He went on to say that "the numbers will surprise everyone." Gujarat has 182 seats, but 6 Congress members, who quit the party recently, will not be eligible to vote. The current strength of the house is 176, and there are three seats. So a candidate will need 45 votes for an outright victory. Voting began in the Gujarat assembly building at 9 am today and will go on till 4 pm. The results will be declared by 6 pm this evening. Three Rajya Sabha seats of BJP-ruled Gujarat will be up for election today. BJP chief Amit Shah, who will be making his debut in Rajya Sabha, and Union minister Smriti Irani are placed to easily win from two of the seats. The election to the third seat -- where Congress candidate Ahmed Patel, political advisor to party number one Sonia Gandhi, is seeking a fifth Rajya Sabha term -- is drawing all eye-balls. The BJP has pitted Balwantsinh Rajput, a recent acquisition from the Congress, against Mr Patel. In West Bengal, the Trinamool Congress is guaranteed a win for the five candidates it has nominated as they are unopposed. 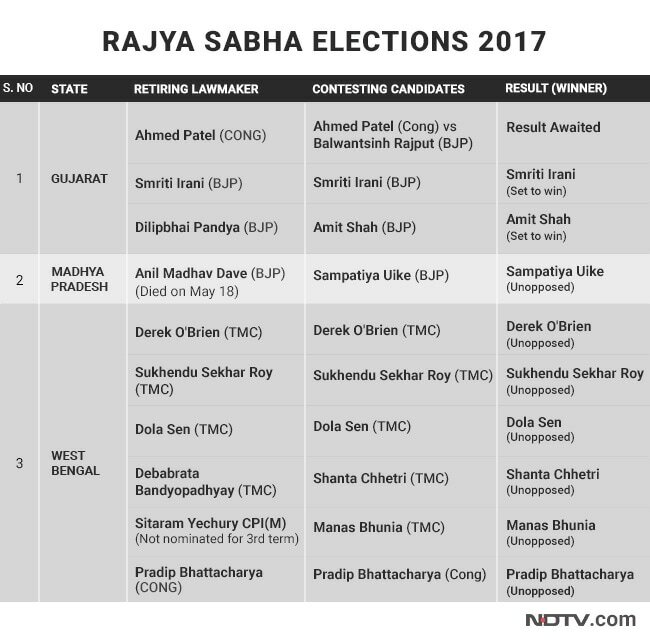 While four Trinamool Congress members are due to retire from the Rajya Sabha on August 18, the party has increased its tally in the current election by one seat to take its tally to five. The Trinamool Congress has re-nominated sitting lawmakers Derek O'Brien, Sukhendu Sekhar Roy and Dola Sen, while nominating Shanta Chhetri and Manas Bhunia for the first time. They all are guaranteed a win. Congress has re-nominated Pradip Bhattacharya who is also guaranteed a win as he is unopposed. CPI(M) general secretary Sitaram Yechury though was not re-nominated for a third consecutive term. While a total of nine Rajya Sabha members from Gujarat and West Bengal will be ending their terms on August 18, the by-election in Madhya Pradesh is being held because Union Environment Minister Anil Madhav Dave, who was a Rajya Sabha member, died on May 18 this year. Rajya Sabha elections in three states today - Gujarat, West Bengal and Madhya Pradesh. While there is no contest in Bengal and Madhya Pradesh, where nominated candidates from Trinamool Congress, Congress and BJP respectively are guaranteed a win as they are unopposed, all eyes are on Gujarat, where the Congress and the BJP are in a close contest in one of the three seats from the state.